We have Matt Caines and Ben Whitelaw from Wannabe Hacks liveblogging for us at news:rewired all day. You can follow final session ‘Is live-blogging rewriting journalism?’, below. Final session features:: Matt Wells, blogs editor, the Guardian; Paul Gallagher, head of online content, the Manchester Evening News; Anna Doble, social media producer, Channel4 News; Alan Marshall, head of digital production, Press Association. Moderated by Marcus Warren, editor, Telegraph.co.uk. 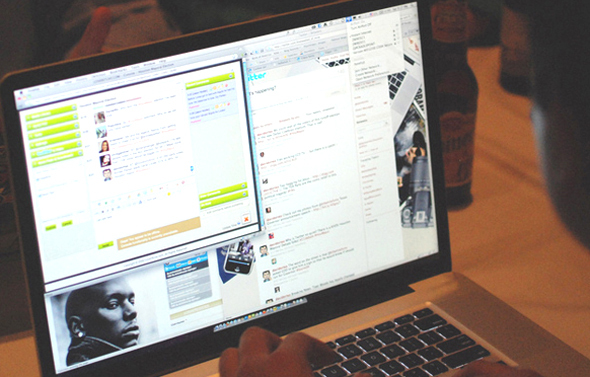 news:rewired – Final session: Is liveblogging rewriting journalism?